Out My Front Door: Bermuda Blue Giveaway! This is the post all cohosts will be posting, saying a little bit about myself and this blog, and what the giveaway is for. At Out My Front Door~A Girl's Take On Life, Elora (also known as "Miss Cocoa Latte") shares posts about her life in the pursuit of writing (romantic comedies, epic fantasy, and everything in between), discovering good music, travel dreams, and her other vast array creative goals. A lover of many things, she avidly shares pictures of her garden, the landscape, her favorite shows (big Downton Abbey fan), and life's many daily adventures! 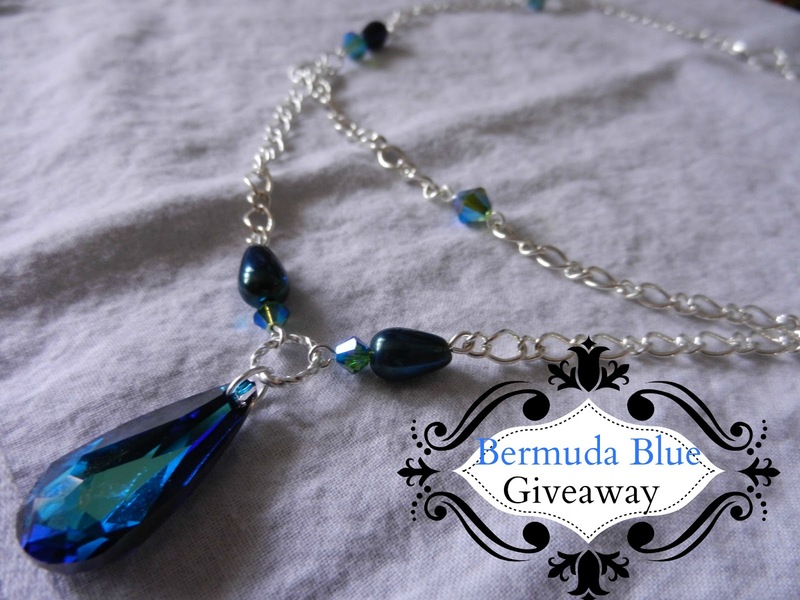 As a way of sharing her new shop, Elora is giving away one of her favorite designs, a Bermuda Blue Necklace. It is her current favorite design, made to reflect the colors of the Caribbean. She's confident the winner will absolutely love it, and get many, generous compliments! She also hopes to see you drop by!